The demographic face of the nation has changed dramatically over the past half-century. Today, the number of unmarried adults in the U.S. is nearly equal to the number of married ones, and more and more women of all marital statuses are opting not to have children at all. Only about 20% of all households are comprised of mom, dad, and the kids. So how are people living now? 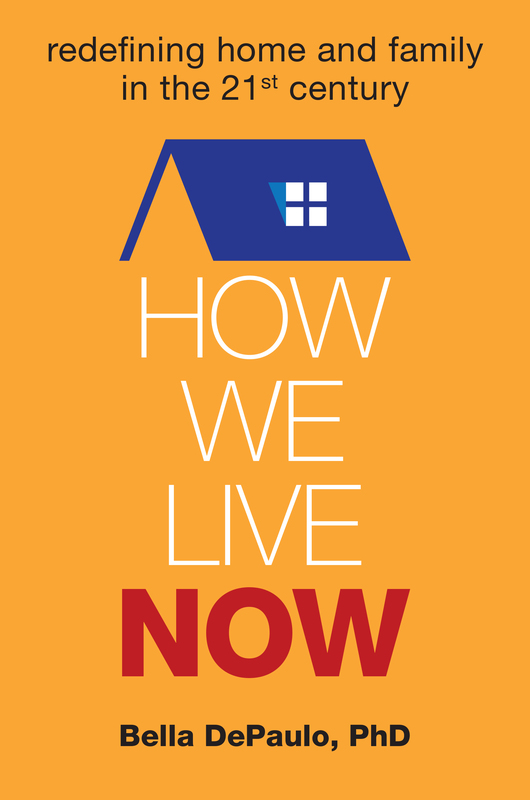 For my most recent book, How We Live Now: Redefining Home and Family in the 21st Century, I traveled around the country asking people to show me their homes and tell me about their lifespaces – the domestic places, spaces, and people who are most important to them. I combined their personal stories with relevant research from the social sciences and some historical context to show the innovative ways in which contemporary Americans have moved beyond the paradigm of living in a nuclear family home in the suburbs. In this post and the next, I share excerpts from How We Live Now. This is the first, from pp. xiii-xv. When I asked the people I interviewed what mattered to them in deciding how and with whom to live, they mentioned everything from dealing with the tasks of everyday life to existential concerns about who would care for them in later life. On a psychological level, there were two things that just about everyone wanted, though in vastly different proportions. You won’t find them mentioned in real estate circulars, in reports from demographers about the ways we live, or (with rare exceptions) in the writings of architects or builders or city planners. They wanted time with other people and time to themselves. Everyone was seeking just the right mix of sociability and solitude. They would like their time with other people to be easy to come by. Sarah Stokes, who lives on her own, sometimes has so many social invitations that she stops answering her phone. Other times, though, her social circle is too quiet, and she is disheartened by having to be the one to initiate. By living in cohousing, Karen Hester has found a way to have a place of her own and easy sociability, too. Just steps outside her door she will probably find neighbors in the courtyard or in the common house. There will always be community dinners several times a week, and a day now and then when the group comes together to keep the grounds in good shape. Anja Woltman and Tricia Hoffman live at opposite ends of a duplex, so each has a home of her own as well as a friend right next door. Robert Jones lives in a big old Southern house in a charming small town. It is a family home which he shares with his brother and sister-in-law. He finds his easy sociability, though, with his poker buddies and his theater group, and the neighbors he sees everyday as he walks to work. To what extent do you want to know other people and be known by them? How much control do you want over the depth to which you are known by other people? Do you like the sense of presence of other people? Is solitude something you enjoy now and then or something you crave? People who want to know other people and be known to them are happy to engage in the day-to-day exchanges of pleasantries, but they don’t want their contacts with their fellow humans to end there. They want to be friends, and not just acquaintances. A New York Times story captured the essence of the conditions conducive to the development of close friendships, as documented in social science research: “proximity, repeated and unplanned interactions, and a setting that encourages people to let their guard down and confide in each other.” The rhythms of cohousing, with regular or semi-regular dinners, meetings, and the occasional workdays—together with the spontaneous chats along the pathways of neighborly spaces—offer magnificent opportunities to develop relationships with breadth and depth. In cohousing, relationships can grow in their own good time. The more deliberative versions of house-sharing, which go beyond the mere roommate mentalities, are also rich with the potential for forming close personal bonds. Maria Hall, who lives in a home of her own, is happy to cede some control over the access that people have to her and her house. “I don’t have a ‘you have to call me before you come over’ policy,” she told me. “If the truck is in the back, just come on in. If there’s something on the floor, step over it.” When I visited Diane Dew, who lives on the first floor of a two-story building, I noticed that the people on the top story across the way could probably see into her windows. That might make some people feel observed and self-conscious. Diane, though, told me that she loved opening her shades in the morning and waving to the children eating breakfast near their kitchen window; they, in turn, blow kisses to her. The sense of the presence of other people, though distracting to some, is reassuring to others. One of two widows who live next door to each other told me that in the evenings, when she looks outside, she is comforted by the sight of the light on in the home of her friend. Marianne Kilkenny, who shares a house with four other people, likes the privacy she has in her own suite. At the same time, she enjoys hearing the soft sounds outside her door of her housemates going about their daily routines. She missed that when she lived alone.